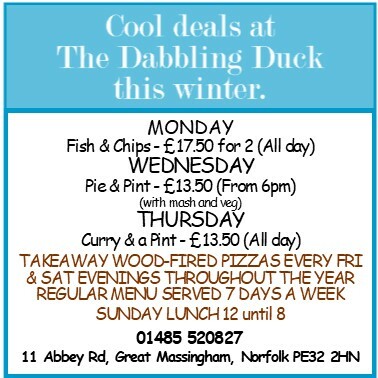 Great Massingham is one of Norfolk’s most attractive villages located approximately 40 miles west of Norwich and 13 miles to the east of King’s Lynn, having one of the most impressive greens in the county. Several large ponds dominate the village, some of which have their origins as the fish ponds for an 11th century Augustinian Abbey. In 2009 the village won a CPRE Community Open Spaces award and in both 2009 & 2010 an ‘EDP Pride in Norfolk’ award for villages with a population under 1000. 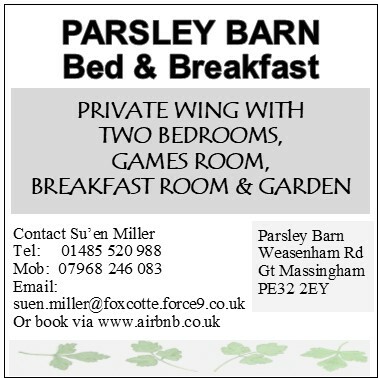 Its origins are thought to go back to the 5th century, but today it is still a thriving community with a village shop and post office, several small businesses, and a well patronised pub and restaurant which also offers bed & breakfast. The Church of St. Mary is a focal point in the village opposite the green and there is also a modern surgery. 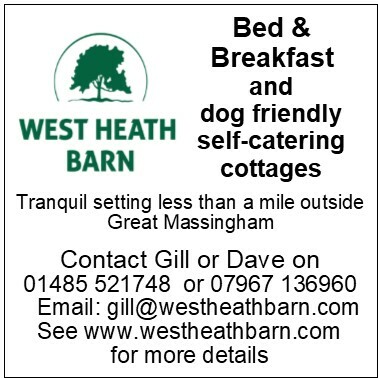 At the heart of the village is the Village Hall which offers Keep Fit, Bingo, Baby & Toddler Group on a weekly basis. 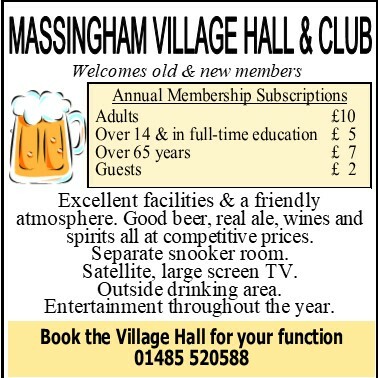 There is also the Social Club and Bar at the Village Hall. The Tennis and Multi-Sports club, along with the Film club, are based in and around the village hall which offers bowls, table tennis, billiards, snooker, etc. A village primary school caters for children up to the age of eleven with toddlers from 2 – 5 years old having their own independent playgroup and pre-school. A walking group, The Massingham Strollers arrange regular Sunday morning rambles around the many footpaths in the area. Many of the walks are published as a single page guide with map and route details and may be downloaded by visiting “The Community” and following the link. 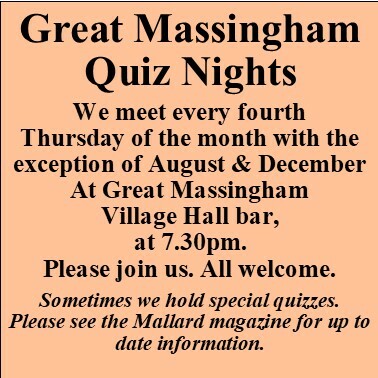 A monthly newsletter, “The Mallard”, is published for the residents of Great & Little Massingham containing news, forthcoming events, church services, local business information etc. Follow the links on the left of the page to learn more about our history and to see what goes on in the village today. Would you like to be a Volunteer Police Officer? Well You Can! There are three events taking place in this area. 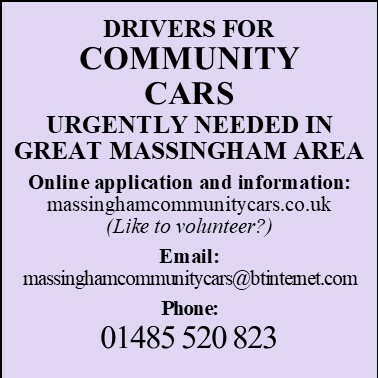 See the Parish Council page for more details. Battle’s Over DVDs – Down to the last two! 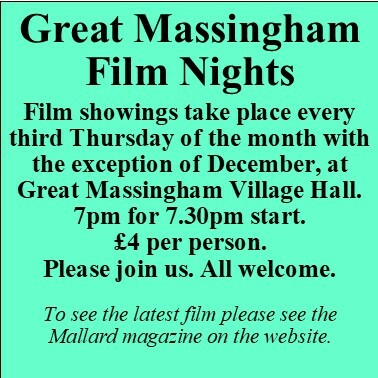 Change of day for the next Film Night. The April Film Night is on Wednesday April 17th instead of the usual Thursday.